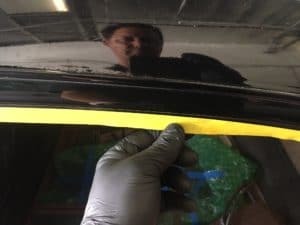 Creating The Perfect Paint Job, Step Six: Paint Prep and Masking | DH Automotive, Inc.
Hey all, welcome back to our “Creating The Perfect Paint Job” series. As promised, this month is all about the paint prep and masking. As all the hard work has been done, I always look at this step as a form of meditation. I usually take a few moments while I’m prepping to visualize the finished product. Before we get into prepping what do I mean by prepping exactly? Basically think of it as being admitted into the hospital: before they begin any of the treatment, they get you all cleaned up and ready to go. Same thing with your vehicle, you want the it so clean you can literally eat off the hood! To that end, there are two major factors to look out for when prepping, the first is removing all dust and debris, and the second is oil. 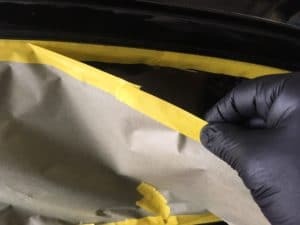 Oil causes fish eyes in the paint, and these imperfections in the paint/clear coat are going to require that you re-spray which you definitely don’t want. Getting down to business, I start off by using an air gun to go over the car. Together with a clean cloth, I try blowing off as much of the dust/debris from the surface. 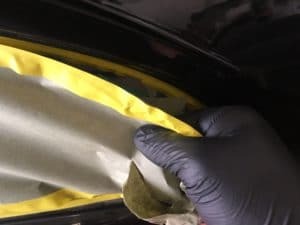 Afterward, I wash the car with a mild dish soap, and use a leather chamois cloth to dry off the panels and the sections where the water tends to pool. I then come back with the air again to concentrate on the interior areas, nooks, and crannies – wiping with a clean cloth along the way. Once the above phase has been completed, it’s time to play doctor by slipping on a pair of latex gloves. 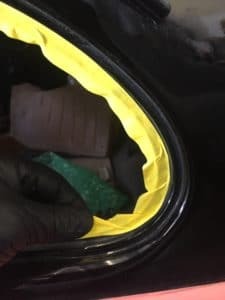 Most guys don’t like to use gloves with tape (for obvious reasons), but if you can get past the first few clumsy sections, you will save yourself a lot of aggravation later on. 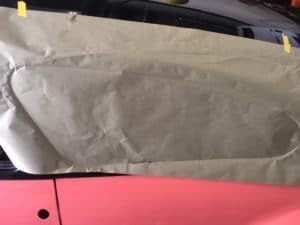 I’ll explain later, but for now you are ready to begin masking off the sections that you do not want to paint (glass, chrome, rubber, engine compartment, or elsewhere). When masking a car, I always begin from the bottom and move my way up. You can do whatever direction you like, or use the products you prefer; trust me there is one than one way to skin a rat! Yes I know it’s cat, but I like cats so I did a little substitution, ok? But back to the task at hand, you would want to lay down the base line. This is the section that will divide your paint from the glass, rubber, chrome, and everything else. You want it to be straight, level, smooth, and on the money. Take your time, as the corners or rounded areas can be tricky. Keep your focus on the outer trim and let the inner gather like a ribbon. Once the base line is laid down, it’s time to grab your masking paper. 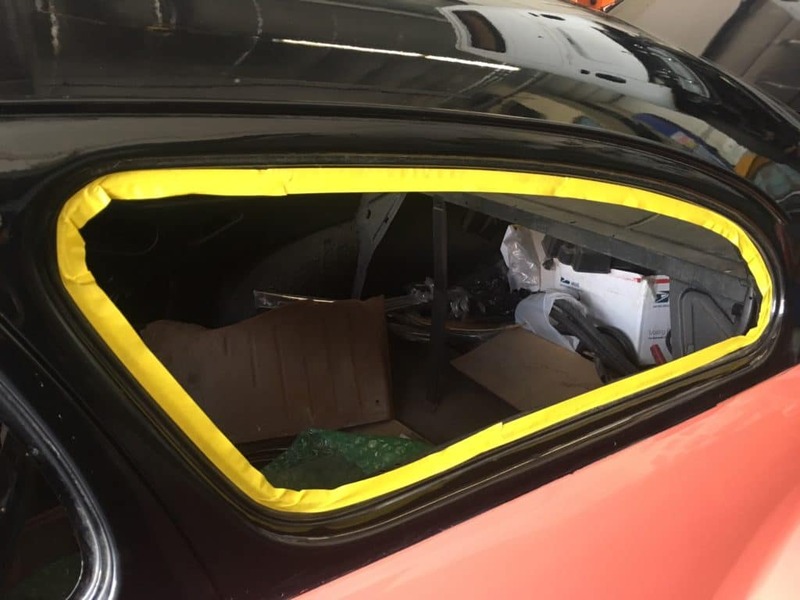 The rear side window of a 47 Chevy coupe is 18 inches, so I tore off a sheet that is roughly the length of the window area. I used two small pieces of tape to anchor the sheet, then I used my fingernail to run along the seam. This is done to map out where I will lay down my tape on the masking paper. Now that I have the shape I’m looking for, I can use a razor blade to cut it out. 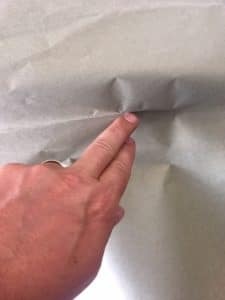 Alternatively, I can start in the corner and as I go along, I can fold the excess under and use my tape to tack it down. Presto! The window is finished and now it’s time to move onto the next section. 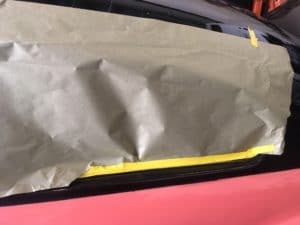 In no time you’ll have the car/truck masking completed. 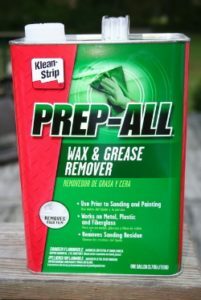 The last thing you do before you roll the vehicle into the paint booth is wiping the exposed areas down with a product called Prep All. This will remove the remaining grease, wax, and debris so that the surface is ready to receive paint! That wraps up this step in our “Creating The Perfect Paint Job” series, see you all next month.